Thank you Travel on line , this package was great. Beautiful hotel and location...Food & Beverage service at the Pool Bars was very very slow everytime we ordered, even when we were the only people at the bar. Breakfast, excellent, however once knife and fork were taken, they were never replaced and we had to walk around trying to find a waiter. Cutlery should be on the buffet for people to get themselves. We requested a late checkout at the time of our booking 8 months earlier and requested it again on arrival. One of our party was unwell and needed to stay in the room. This was not allowed. Mulia dinning options the highlight. 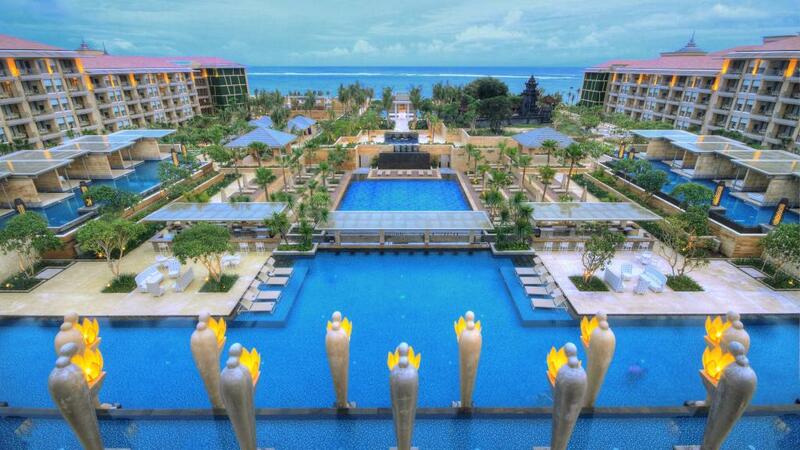 Nusa Dua location not ideal if you are looking to visit markets / local options.